After our scans in Michigan, I haven't updated since....I apologize. 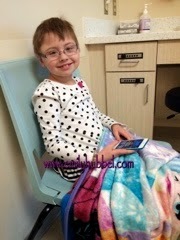 Our last update, Emily had MIBG/CT scan and Dr Sholler said it was stable with some of her disease having a slight uptake and the some of the other spots with a decrease in uptake. There was one spot she was concerned about that quite a bit of uptake compared to the many of the last scans. So she asked that we have a PET scan at home and have them send them over to be reviewed in Michigan. Dr Gowda quickly worked on getting a PET scan scheduled and was able to get one scheduled for us tomorrow at 9AM. 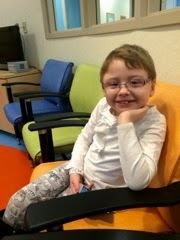 We haven't had scans at VCU from the last time when we were told that Emily was clear and she wasn't. 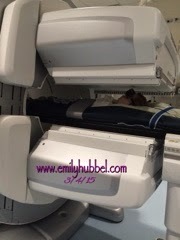 Although PET scans are totally different, so we are ok with getting it done here. No eating 8 hours before the scans and nothing to drink 4 hours before except for to take any medication that she may need to take. We do not know how long it will take to get the results on these, because we are not sure how radiology will be sending over the PET scans to Michigan. But once we know, we will be able to update and let you know the outcome. If the PET results come back Positive, we will be making an unplanned visit to Michigan to get Emily set up on another trial. If they come back negative, we will just continue with the DFMO as we have been doing. 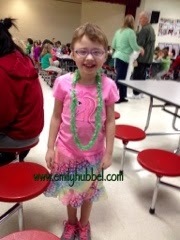 Please continue to keep Emily in your thoughts. Overall Emily is doing well. She continues to go to school and enjoy her friends. Last weekend she had her very first sleep over with her best friend M. It was really hard for us, we wanted to say no that she couldn't go, but she deserves to go like her dad said. She deserves to be like the rest of her friends and stay with her friends from time to time and deserves to have a good time. Overall she has been well, but the only issue we have had is she complains of pain in her foot/ankle. Some days it hurts worse than others and some days it only hurts a little and other times we have to give her Tylenol. She has been wearing some type of brace on it because it bothers her. So we will talk to clinic tomorrow to see if there is anything we should be concerned about. Tomorrow we have to be at clinic early to get accessed for labs, clinic and PET scan. Originally we were supposed to come Friday to see the doctor for labs and physical, but since we will be there tomorrow, we were able to get in with the doctor early and get labs and physical done. My dad will be meeting us at the house in the morning and going with us for the labs and PET scan. Thank you dad for wanting to come with us. 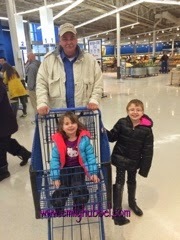 Oh Emily and Brianna didn't miss the father/daughter dance, it has now been scheduled for March 27th. Emily is so excited that she will be able to go and this will be her first time going to the dance.